There are several methods to find a great dentist in your area. For starters, it depends on what kind of dentist you are looking for; a great general dentist can also specialize as a restorative dentist and a cosmetic dentist. Whatever the case, make sure you choose an experienced dentist. Dentists with the right experience will be able to recommend the proper treatment plan and help you get the beautiful smile you deserve. If you’re in the Monterey area, Monterey Dental Contours offers treatment at the hands of one of the most experienced dentists in the area. 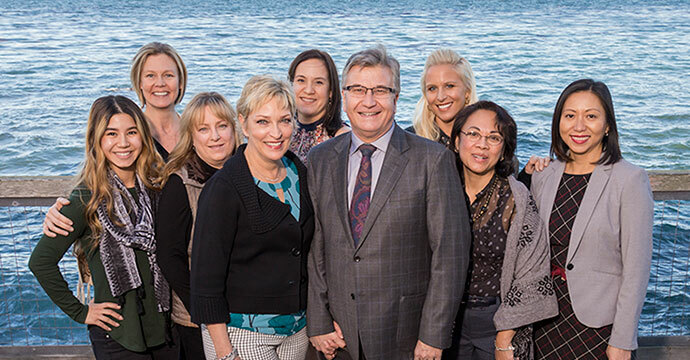 Our team has years of experience and a long list of satisfied patients who view us as their family dentistry team for life. At Monterey Dental Contours, we offer personalized restorative, cosmetic and general dentistry services tailored to you! If you’re are looking for a good… or should I say, exceptional general dental practice in Monterey, you have found the right place. Contact us today.